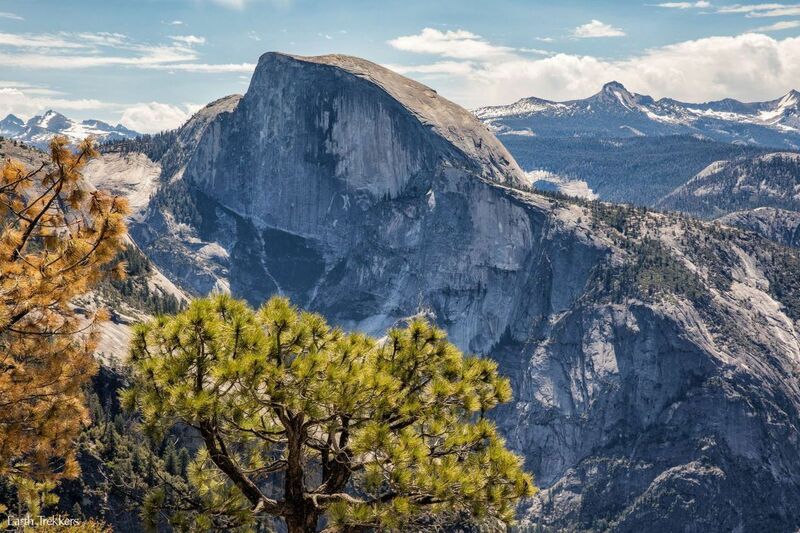 If you have plans to hike to Half Dome, you must have a Half Dome permit. A maximum of 300 permits are awarded per day in a lottery system. Since 2010, the National Park Service has required hikers to have a permit to climb Half Dome. Before 2010, overcrowding on the cables created a dangerous situation. 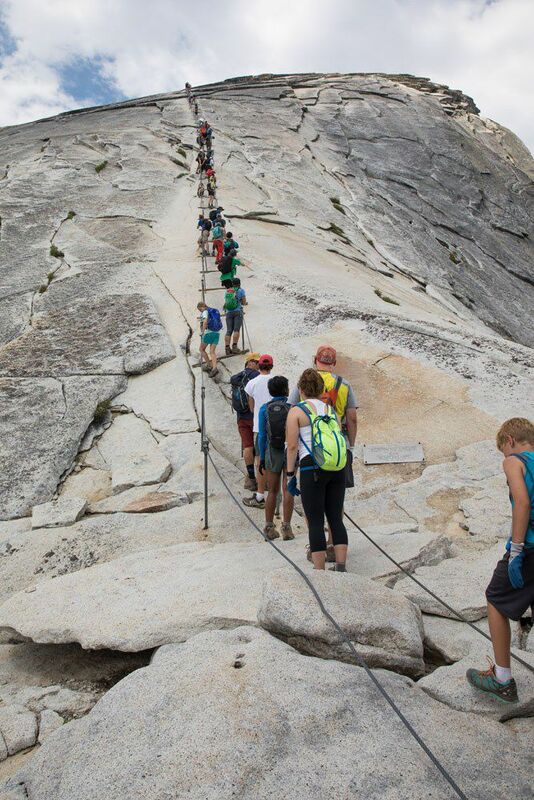 On peak days before 2010, there would be as many as 1,200 daily visitors to Half Dome. In 2009, 2 people died while climbing the cables. 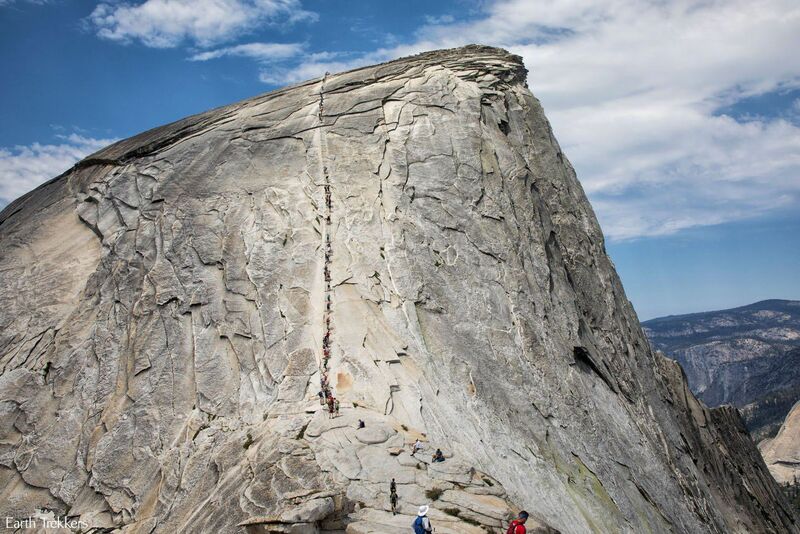 Now, only 300 people per day are allowed to climb Half Dome, and to do so, you must have a permit. So, how do you get to be one of the lucky permit holders? Permits are awarded in a preseason lottery for the entire summer hiking season. Applications are accepted during the month of March, regardless if you are hiking in June or September. On the application, one person (called the team leader) can apply for up to six people for 7 different dates. The team leader is only allowed to apply once per lottery. If you apply multiply times, all of your applications will be removed from the lottery. 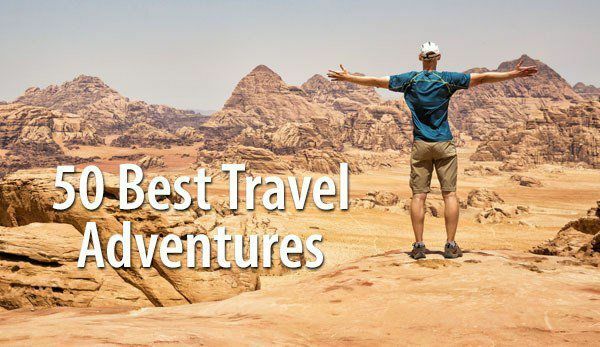 The trip leader or the alternate person listed on the application must be present at the sub-dome when the permits are checked. The permits are not transferable to other hikers. It costs $10 to file an application, regardless of the number of people listed on the application. Update for 2019: Applicants may be a permit holder (trip leader) or alternate on only one application during the preseason lottery. 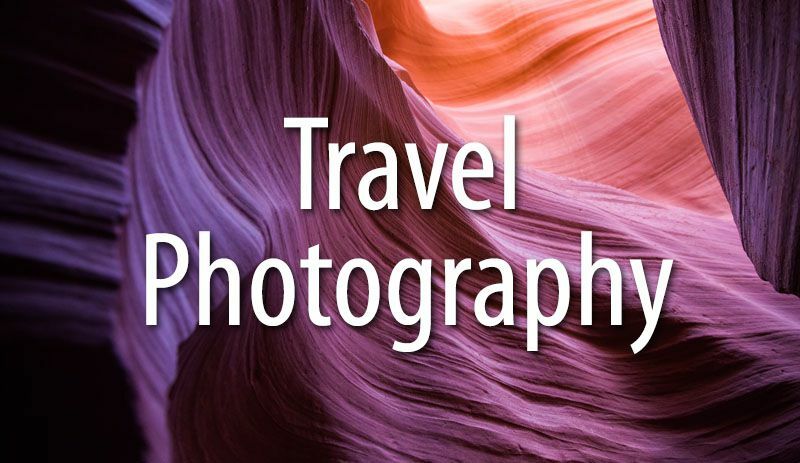 Your name can only appear on one application, whether or not you are the trip leader OR the alternate. If your name appears on more than one application, all of your lottery applications will be cancelled. The lucky lottery winners are notified April 10. Once you are notified by email, you then have to two weeks (until April 24) to pay the $10 per person for the permit. The permit is refundable. To get more information, visit the National Park Service website. 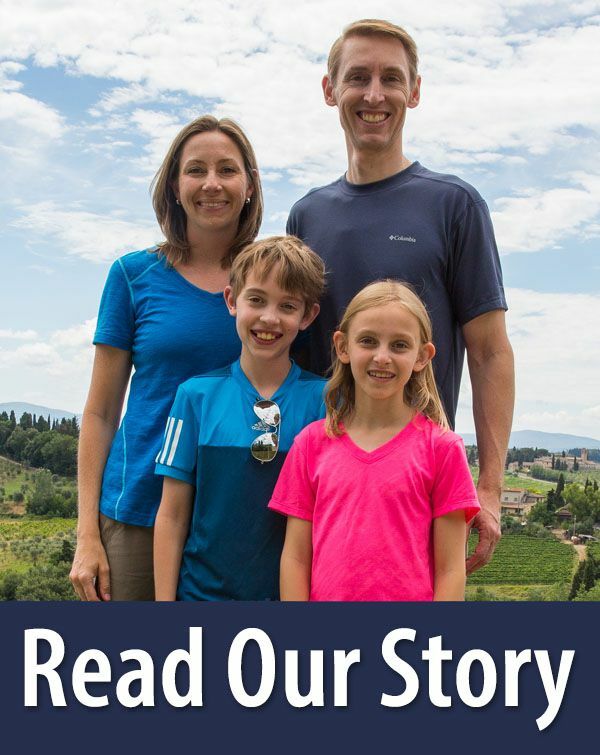 To file an applicaton, visit the recreation.gov website. If you have questions, give them a call at 877-444-6777. 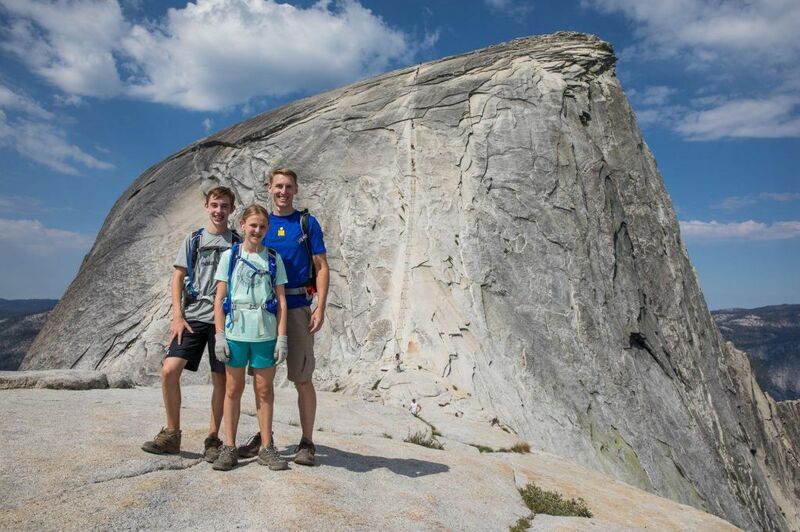 What if you plan to visit Half Dome with kids? The youngest age we would recommend is 12 years old, and that is only if your child has lots of prior hiking experience and is very physically fit. When I spoke to the supervisor at recreation.gov, they told me that children can be listed on the permit application. I was told that there was no minimum age. However, if your child is listed on the permit, you will need to bring a government-issued ID as their form of identification. Another 50 permits are awarded on a daily basis, depending on cancellations of other permits and no-shows on the trail. 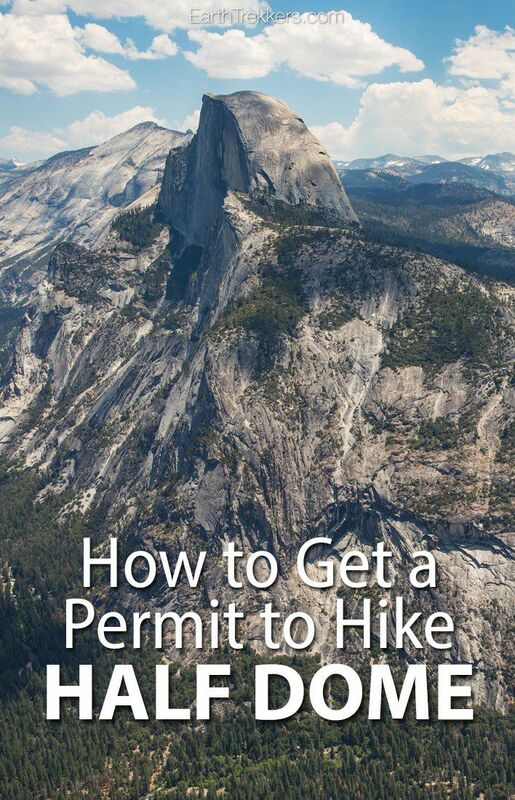 You can apply online for these permits two days before your anticipated hiking date. Visit recreation.gov to file your application for a daily permit. What Are Your Chances of Getting a Permit? As the Half Dome hike grows in popularity, your chance of scoring a Half Dome permit decreases. In 2016, there was a 25% chance you would be awarded a permit. Compare that to 2015, with a 35% success rate and 2014 with a 45% success rate. 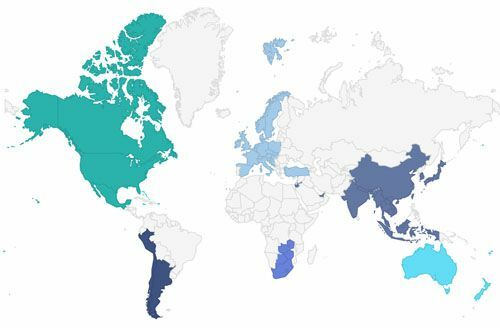 In 2017, there were 26,963 applications, with a 19% success rate. To get a permit, you do need to be lucky, but there are some ways you can increase your chances. 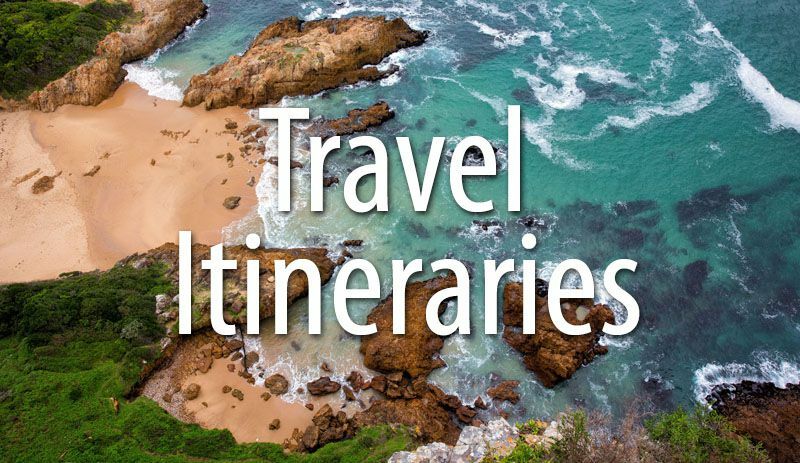 If you can be flexible in your travel dates, you can greatly increase your odds of being one of the lucky permit holders. Monday through Thursday are much less popular than Friday, Saturday, or Sunday. It’s almost impossible to get a permit for Saturday. 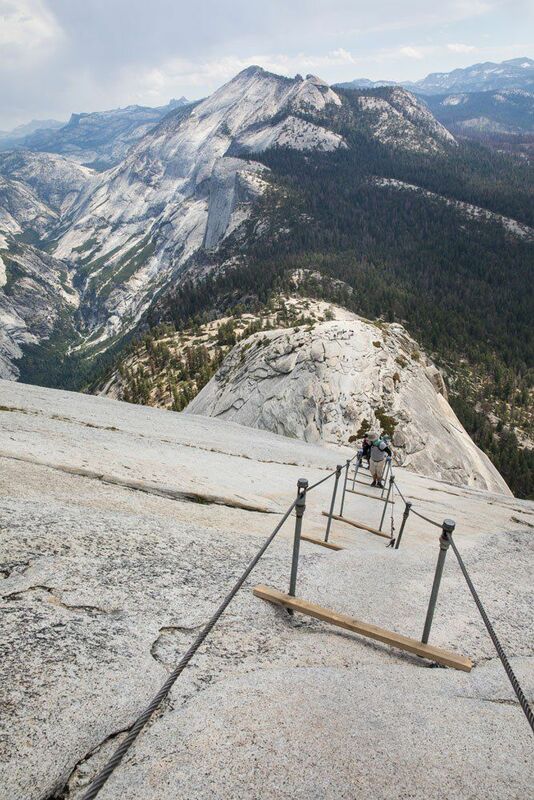 The few days from July 4 through July 8 tend to have slightly smaller crowds than the other times of the summer (and fewer applications for the Half Dome cables). This is the time that we visited Yosemite. On July 5, crowds were manageable, but by July 7 the park was getting very crowded again. 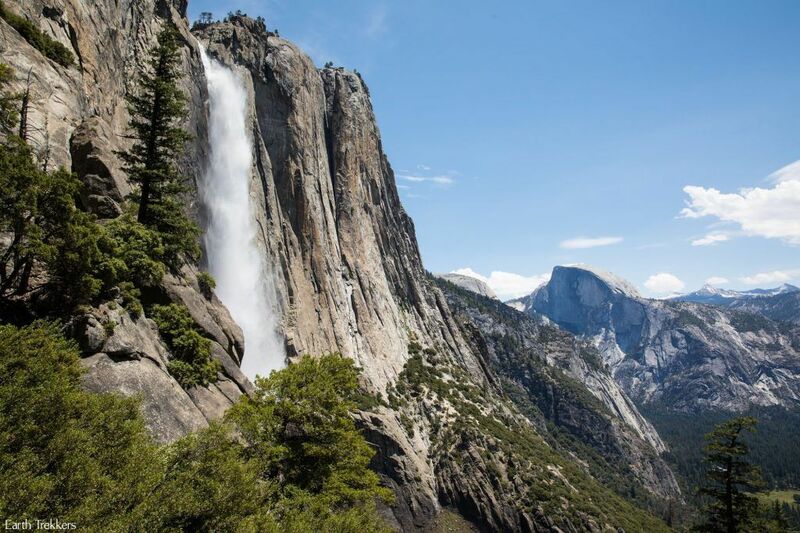 Consider taking advantage of the July 4 holiday and hiking Half Dome if you have plans to visit Yosemite during the summer months. September and October are the months with the fewest number of applications so it is easier to get a permit. 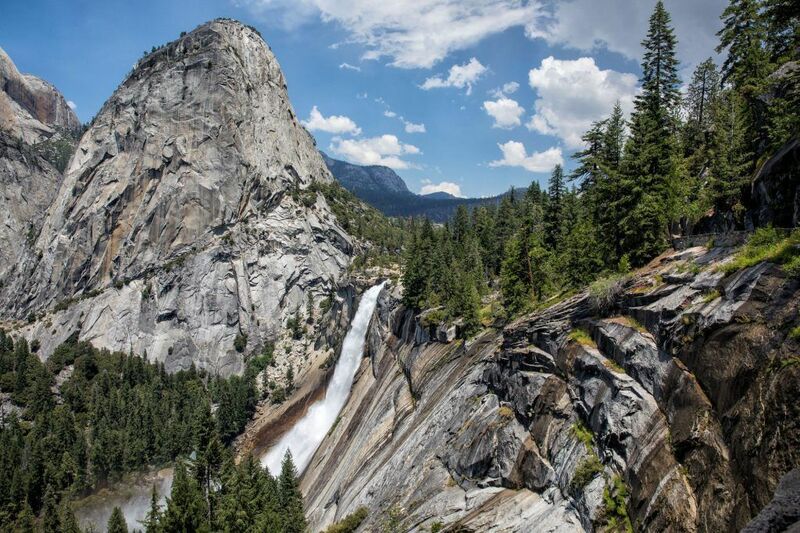 In general, Yosemite will be a little quieter during this time also, since summer holidays are over. If you are unsuccessful in getting a pre-season lottery ticket, you can apply for a daily lottery ticket, which is awarded two days before your anticipated hiking date. Where am I getting all of these numbers? The National Park Service website has excellent data on lottery applications and success rates for the entire season. If you want to plan your Yosemite trip around your best odds for getting a Half Dome permit, I highly recommend that you take a look at their lottery statistics. What if you want to take your chances and hike without a permit? Rangers on the trail check permits just before the sub-dome and at other spots along the trail. 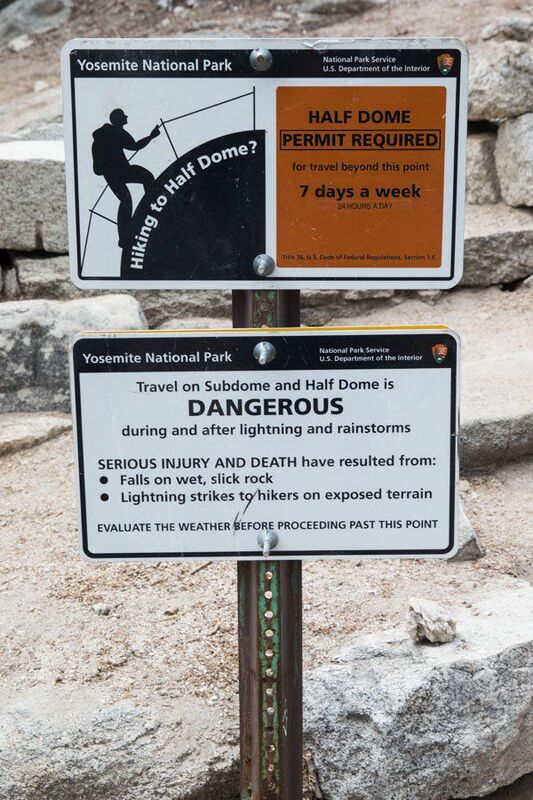 If you hike Half Dome without a permit, you risk paying a $5,000 fine and/or 6 months in jail. Do you have any more questions? 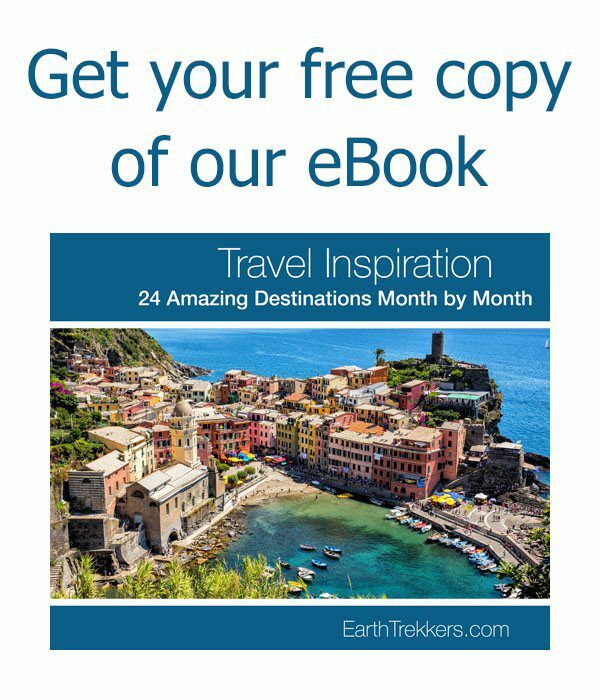 Visit the National Park Service website for more information or comment below. Do you know if the following section still applies for 2019? I am planning to submit two applications this March – One with my husband listed as team leader and one where I am listed as the team leader. I just want to be sure that this is still allowed so that our applications don’t get thrown out. Thank you for this helpful blog! I’d really like to know what information is required for the application so I can be prepared and get it beforehand for the people in my group. Do you know of somewhere this is posted or could you scan and post a redacted image of your application? I wish I would have filled out multiple applications as you suggest. I just received notice that my lottery was unsuccessful. I live in Iowa, so making a trip to Yosemite is a big deal. Any chance I could still travel to Yosemite and pick up unused passed the night before? In addition to the daily lottery, isn’t there a way to stand in line at the ranger station? There are 4 of us wanting to hike half dome, any day between June 3-17, 2018. Hi Ryan, I’m sorry to hear that you did not get a permit. You still have a chance to get a daily permit by applying 2 days in advance of your hiking date. Roughly 50 permits are awarded per day, depending on the number of cancellations. I don’t know how many people apply per day (and I am sure this varies day to day) so I don’t know what your chances are of getting a permit this way. It’s a gamble. I don’t know anything about standing in line for a permit. Read this info on the recreation.gov website. You might want to call them and learn more about the process and what the likelihood is that you’ll get a permit. Good luck! Super helpful! I’ve done the hike to the top of Half Dome many times in the 80s and 90s but haven’t done it since the permit process has been put in place. Thanks for showing how to do it so you have the best chance of getting a permit. Did you name each other as alternates? I can’t get an answer by calling. Myself and my daughter want to go. She’s 17. I see no restrictions on age in any of the documentation. So could both her and I apply, then have my wife apply as a third naming me or my daughter as an alternate, Or would that void the application. Apply for 1 permit in your name with a 3rd person as the alternate, then, apply for a permit in the 2nd persons name with a 4th person as an alternate. This way you can take each other since the alternate person does not have to be present. Your blog is super informative and easy to read! 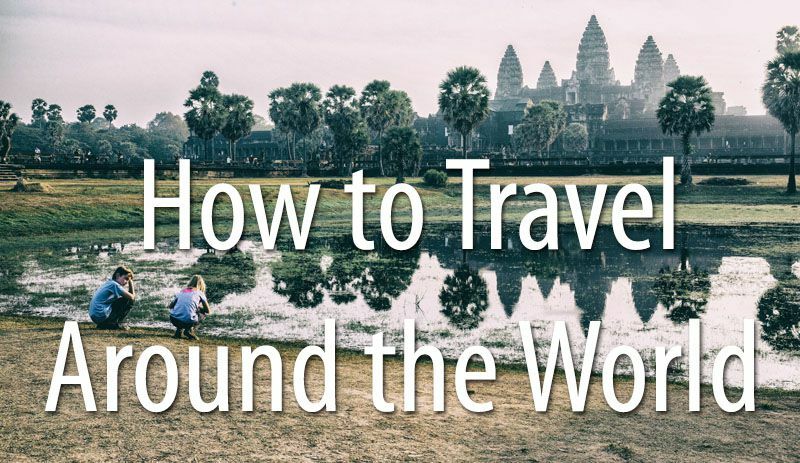 Great information and pictures.